Overbites and underbites, along with crooked, overlapping, or overcrowded teeth, result from losing baby teeth too soon, accidents, thumb sucking, and may also be inherited. Whether you’re just finding out you have a problem or are simply ready to straighten your teeth, InvisalignⓇ can help. If you'd like to straighten your teeth without the hassle of braces, call or make an appointment online today with Dr. Kainaz Byramjee at K.B. 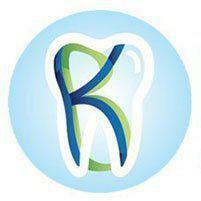 Family Dental in Renton, Washington. If the idea of wires, rubber bands, and metal make you shudder, then ask Dr. Byramjee about using Invisalign to straighten your teeth. Invisalign incorporates the latest straightening technology and consists of a set of clear, custom-made thermoplastic aligners. These aligners look similar to whitening trays, blend in with your teeth, and go virtually unnoticed. When used correctly, Invisalign results are similar to those gained through the use of traditional fixed appliances. The Invisalign process begins with Dr. Byramjee taking dental impressions, X-rays, and photographs of your teeth. She sends this information to a dental laboratory where technicians create a three-dimensional diagnostic model of your mouth. They then send the model to Invisalign specialists who manipulate and move each tooth to its final location. Each movement of every tooth is mapped out, and that map helps design the aligners you wear throughout the Invisalign treatment process. Each Invisalign aligner is worn at least 20 hours a day for up to three weeks. It’s best to use them as much as possible, but you should remove them when you eat, brush, and floss. It’s especially important that you take your aligners out when drinking liquids that leave stains. Why choose Invisalign instead of regular braces? Invisalign aligners are clear and removable, which allows you to be less self-conscious and eat without worrying about food getting stuck or ruining your dental appliance. Invisalign reduces the amount of plaque accumulation, tissue inflammation, and gingival recession, as well as root resorption that braces sometimes cause. Checkups occur every six weeks -- as opposed to every month with traditional braces -- and no tightening is necessary. Additionally, the treatment time is far shorter, and you get results up to 50% faster. This is an especially important feature if you suffer from dental anxiety. To begin the Invisalign process, call or make an appointment online today with Dr. Byramjee at K.B. Family Dental in Renton, Washington. She and her staff can get you in as quickly as possible and provide exceptional service you can’t find anywhere else.